Worm Carnevale’s array of instant photographs act as a compilation of complex journals and autobiographical scenes, archiving his New York City experience between 2009 and 2012. Adorned, yet honest, his collection of single storyboard frames has been used to chronicle his own contemporaries which corroborate a city that doesn’t sleep and hated to wait. Eccentric imagery meets reality, capturing the hedonistic jeopardy of youth: a generation bombarded with novelty and stimulation frolics in a casual yet disturbed environment of total correspondence. The viewer will stroll without horizons amid animated scenarios. 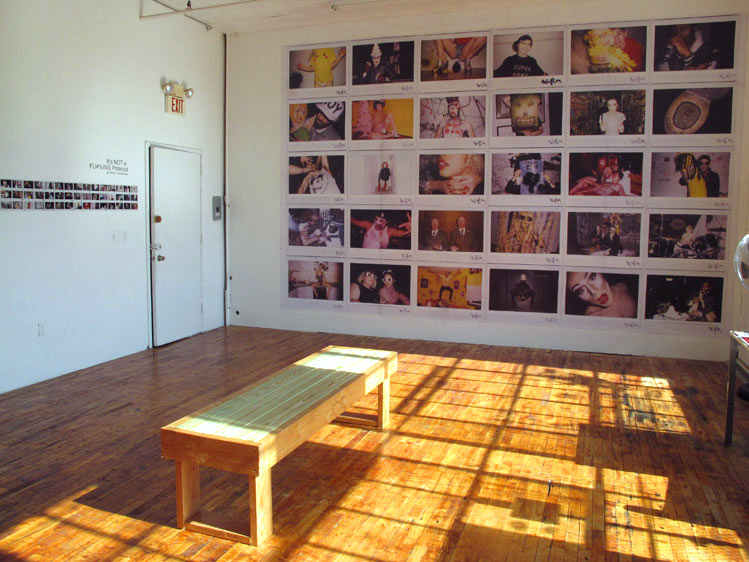 Worm will display over 300 instant film photographs throughout the gallery. Each unique photograph is beguiling and mysterious because of their fleeting apparitions. Sophisticated story-telling will search for the involuntary kick. The viewer will experience a deck of personal accounts fueled by the urge to pause immediacy.